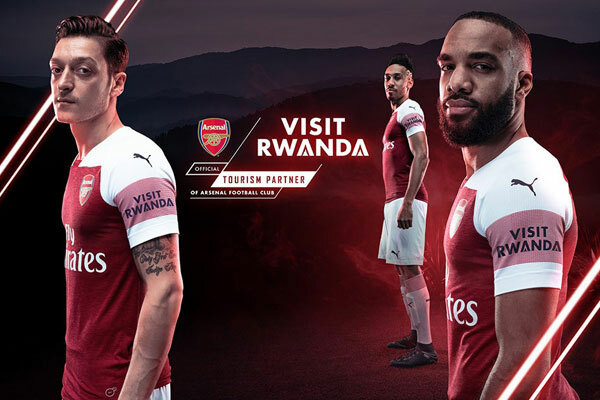 On 23 May, The Rwandan Development Board announced that it had signed a ‘Visit Rwanda’ sleeve sponsorship deal – worth around 10 million pounds a year for three years – with Arsenal F.C., the world’s best football club (I am clearly not an Arsenal fan). Many were surprised by this news. Most of all, Dutch Members of Parliament and politicians. De Telegraaf – a Dutch newspaper – published a story, quoting one Dutch MP who said, “I am indignant that a country where we provide solid financial assistance has now become a whopping €30million shirt sponsor of a major English football club.” The country’s aid minister, Sigrid Kaag, has been tasked with looking into the deal and reporting back to the Dutch parliament. Critics of the Rwandan government have also latched on to this news, arguing that the money would be better spent elsewhere. Since the 1994 genocide, President Paul Kagame’s Rwandan Patriotic Front (RPF) government has led the country through a remarkable period of economic growth. During 1999-2014, Rwanda’s annual GDP growth was 7.7% and its annual growth in GDP per capita was 5%, making it among the fastest growing African countries during that period. As part of VISION 2020, the Rwandan government has focused on creating a knowledge-based economy, largely driven by growth in the services sector (although manufacturing has featured more prominently recently). Rwanda’s government statistics also claim that poverty has reduced significantly though some scholarship has been cautious about such claims and debates have emerged about the veracity of these statistics. The RPF’s reign has remained controversial – accused of human rights abuses at home and abroad – while also being a ‘donor darling’ and popularly seen as a successful country example of African development. So why has a budding African developmental state sponsored one of the world’s richest (and best) football clubs? Is it simply to please President Kagame (an ardent Arsenal fan who has occasionally been critical of former manager Arsene Wenger)? Or is there some broader strategic reasoning behind it? Sponsoring a football club seems an odd decision for a developing country. But it isn’t exactly rare. Rwanda is far from (being)the only country that has partnered with football teams to attract tourism to its country. Many countries have sponsored football club shirts. For example, Azerbaijan sponsored Atletico Madrid, Malaysia and Puerto Rico have sponsored Sevilla, Qatar sponsored Barcelona and Chad sponsored FC Metz. Emirates and other airlines have also sponsored several football club t-shirts (including Arsenal’s). Condescending stories in European newspapers (like the Daily Mail) that directly link aid funding to the shirt sponsorship miss the point. Aid money is not directly used in the deal and most foreign aid that the Rwandan government receives is linked to specific projects rather than budget support. The Chief Executive Officer of the Rwandan Development Board (RDB) Clare Akamanzi clarified this and admonished the condescending tone of such news stories. She also pointed out the reason why the government has invested in the deal: to bolster Rwanda’s tourism sector. The sector has consistently been the highest foreign exchange earner for the country. Rwanda’s service-based development strategy relies on the tourism sector’s continued growth – for foreign exchange, investment and job creation. The logic behind the deal is to concentrate on a strong-performer sector with the hope that it will generate more resources to be spent elsewhere. The growth of Rwanda’s tourism sector has been nothing short of dramatic and has arguably been the RDB’s greatest success. Foreign exchange receipts from the sector have been growing at around 30% annually and are targeted to reach $800 million by 2024. In 2016, they amounted to over $400 million in 2016 (more than double the amount that was received in 2010). As of 2015, the tourism sector reportedly provided 7.3% of direct formal employment in the country. Rwanda is one of the few countries where mountain gorillas can be visited and hosts more than a quarter of them. In the 1970s and 1980s, Dian Fossey studied these gorillas and a Hollywood movie – Gorillas in the Mist – was made about her experiences in the Virunga mountains (that hosts the gorillas) in 1987. Yet the previous government failed to take advantage of the publicity and tourism barely grew. In the 1990s and early 2000s, the Rwandan government began focusing on reviving the tourism sector and ‘going beyond gorillas’ by focusing on developing other tourism sites including national parks such as Akagera and Nyungwe Forest. The government has also prioritized making Rwanda a global MICE (Meetings, Incentives, Conferences, Exhibitions) destination and a business hub. The Kigali Convention Centre finally opened in 2016. Rwanda quickly generated conference tourism and in 2017, 169 international meetings were hosted there. To attract more tourism and as part of a vision to make Kigali a hub of various kinds (transport, business and finance), Rwandair (the national airline) has rapidly expanded its fleet and flies to over 20 international destinations including London. Though the tourism sector has grown rapidly, it is unclear whether services sectors (and tourism specifically) can provide the same benefits that manufacturing has done historically. Despite expressing reservations about services-based growth, Dani Rodrik has suggested that it may be a new emerging trajectory of late development in African countries but it may not provide the same benefits that manufacturing-led development did. Contrastingly, Jagdish Bhagwati argues that India’s experience shows that services can be an alternative to manufacturing since services have become increasingly tradable. Ha-Joon Chang argues against such views and emphasizes that the most dynamic elements of the services sector actually depend on manufacturing. Emphasising the interdependencies and the possibilities of linkages between manufacturing and service sectors is more useful for policymakers than thinking in sharply-distinct manufacturing and services blocks. With the growth of the tourism sector in Rwanda, there are opportunities to supply goods and services, strengthening domestic value chains. Yet the Rwandan government has not done enough to support its local agriculture and industry stakeholders or link them to evolving demand patterns associated with tourism growth. The Rwandan government has been successful in building a global reputation for the country as a tourism destination. It has also attracted global hotel brands like the Marriott and Radisson to bolster its image. But a boom in hotel construction of mid-range hotels has led to hundreds of them being put up for auction with owners unable to repay loans. Rwanda’s tourism gamble is built on supply-side logic: once the hotels are built, tourism will come. Similarly, Rwandair’s rapid expansion has continued undeterred by the fact that the airline has never made a profit and the government’s public debt has increased (though it is ‘comfortable’, according to the IMF). Despite these challenges, for the determined Rwandan government, investments in tourism must continue. Rwanda’s key exports are primary commodities, vulnerable to fluctuations in global commodity prices. The manufacturing sector has been prioritized recently but benefits aren’t visible as yet. Tourism, meanwhile, has been a consistent and reliable source of foreign exchange. Yet the success of the sector depends on a positive global reputation and the Rwandan government is regularly criticized in the foreign press. International press has already highlighted that the deal grants the Rwandan government with access to hospitality boxes, matchday tickets and access to star players for promotional work, pointedly implying a personalistic element to the sleeve-sponsorship deal. It will be difficult to actually measure the benefits of the ‘Visit Rwanda’-Arsenal partnership but there is no doubt that it will increase visibility for the country. Football clubs shouldn’t be too worried about such criticisms. They’ve partnered with controversial individuals and governments before. Arsenal may be more worried about sending conflicting messages to its fans though. Emirates doesn’t fly to Rwanda although a competitor (Rwandair) does. This could be a tool for monitoring impact, especially after big games. I quite like it as a marketing move. Partly because the political agendas behind so much of the criticism have been so thinly disguised. Also because it’s a fresh idea. Somewhat typically of Rwanda they have tried something new. Since its such a unilateral move by a country like Rwanda to market itself this way, I can imagine it being quite effective. And the criticisms that have been dredged up are only giving it more air time. Worst case scenario – and since it’s immeasurable we will never know – it will do something, in international attention, perception change, and tourism figures. Maybe it won’t justify 30M financially, maybe it will over justify it. But that’s a lot better than most 30M your indignant Dutch MP would spends conference pastries.